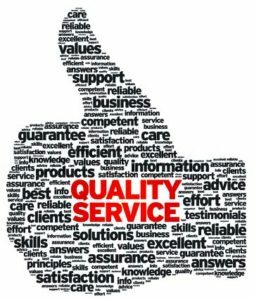 Questionnaire for Service Quality Management can be used for analysing the service quality in XYZ Retail Store. This questionnaire on service quality is helpful for the retail stores to improve their service quality. Q2. Reason for using Visit? Q3. How do you rate the price of Products sold at XYZ Retail ? Q4. How do you rate the Quality of Products sold at XYZ Retail ? Q5. How do you rate the range of Products sold at XYZ Retail ? Q6. The physical facilities at this store are visually appealing. Q7. Materials associated with this store’s service (such as shopping bags, catalogues or statements) are visually appealing. Q9. The store layout at this store makes it easy for customers to find what they need. Q10. When this store promises to do something by a certain time, it will do so. Q11. This store provides its services at the time it promises to do so. Q12. This store has merchandise available when the customers want it. Q15. The behaviour of employees in this store instills confidence in customers. Q16. Customers feel safe in their transactions with this store. Q17. Employees in this store give prompt service to customers. Q19. Employees in this store are consistently courteous with customers. Q20. Employees in this store treat customers courteously on the telephone. Q21. This store willingly handles returns and exchanges. Q22. When a customer has a problem, this store shows a sincere interest in solving it. Q24. Are you satisfied with the overall service quality of the store.